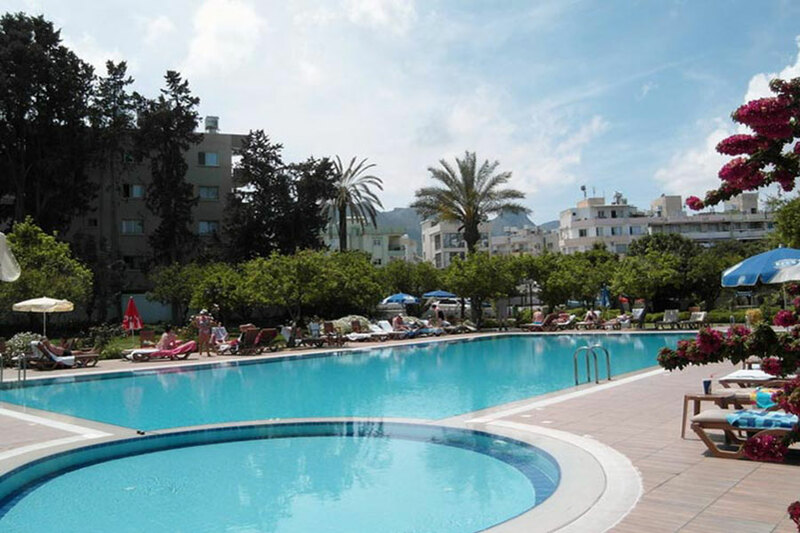 Situated close to the town centre, Pia Bella Hotel in Kyrenia, North Cyprus is a small and friendly family run hotel set amidst beautifully landscaped gardens and within easy reach of local attractions, restaurants, cafés, shops and historical Kyrenia Harbour. 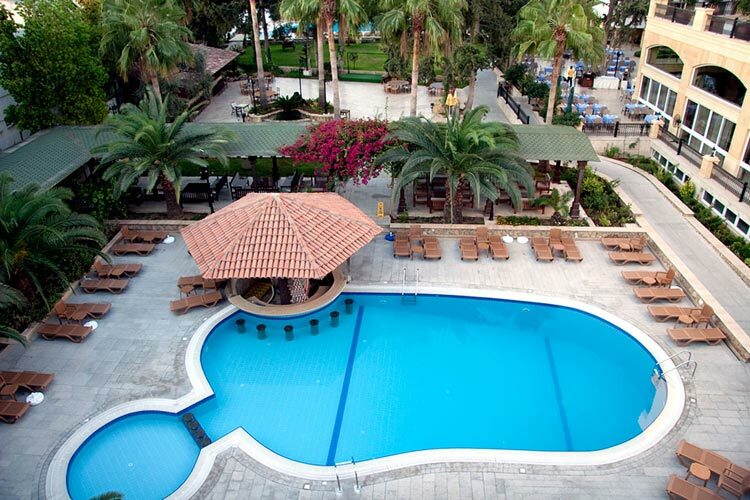 There are two complexes each with own swimming pools with children's section, and one with Jacuzzi and one with a Swim Up Bar. 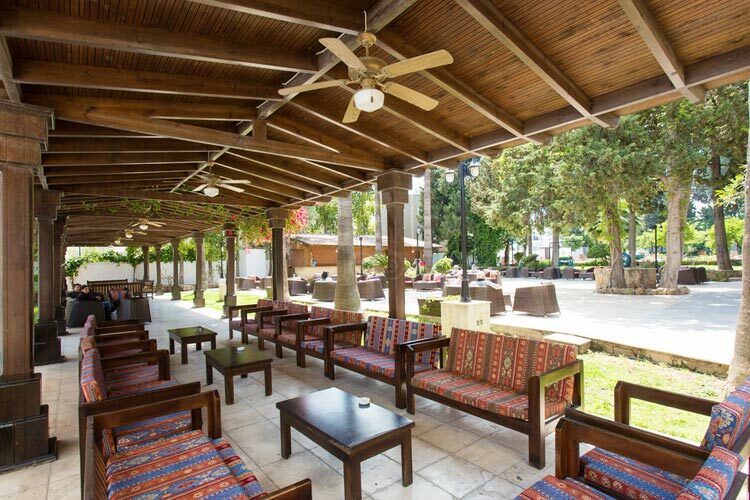 There is a wonderful restaurant in the garden serving traditional Cypriot cuisine and delightful à la carte meals. The garden bar is a perfect spot to enjoy your afternoon tea in a tranquil setting. The friendly service and welcoming atmosphere makes this hotel an exceptional place to stay in Cyprus, the paradise of hospitality. 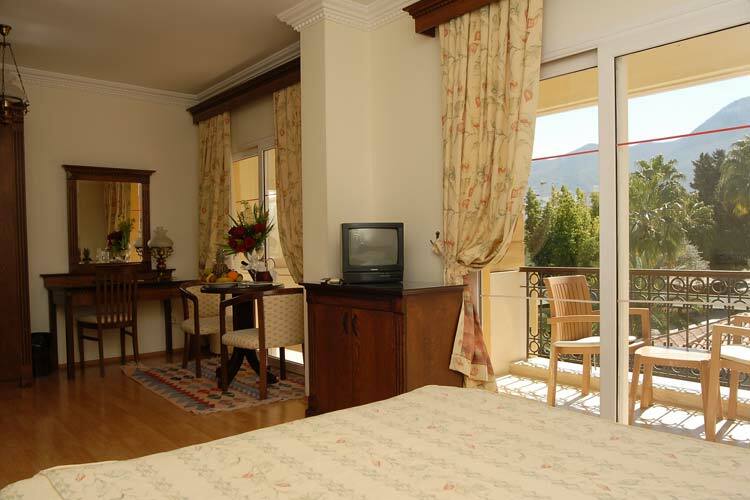 Check our fantastic deals on package holiday to Pia Bella in Kyrenia. 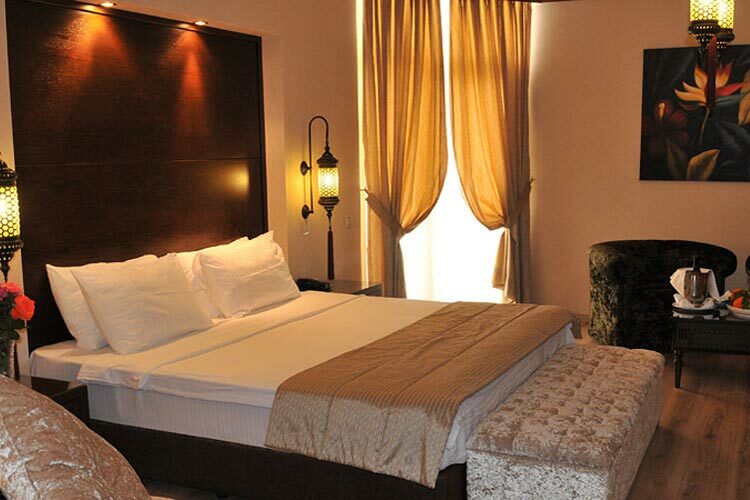 Pia Bella has 144 tastefully decorated modern and comfortable hotel rooms. 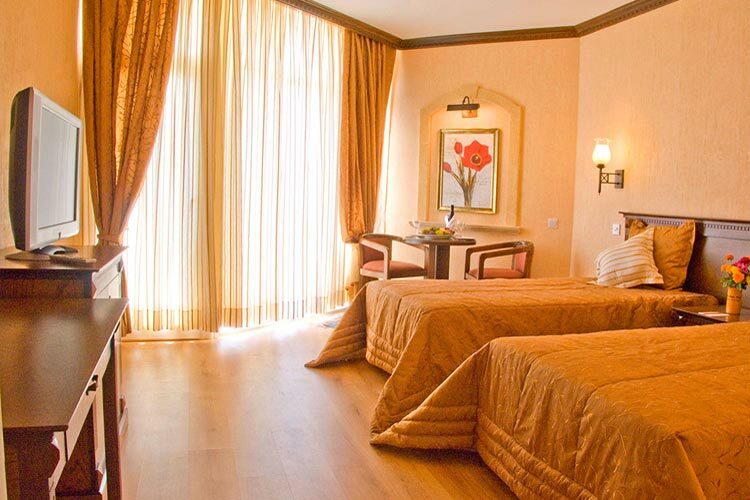 The room types include standard, superior and deluxe rooms. 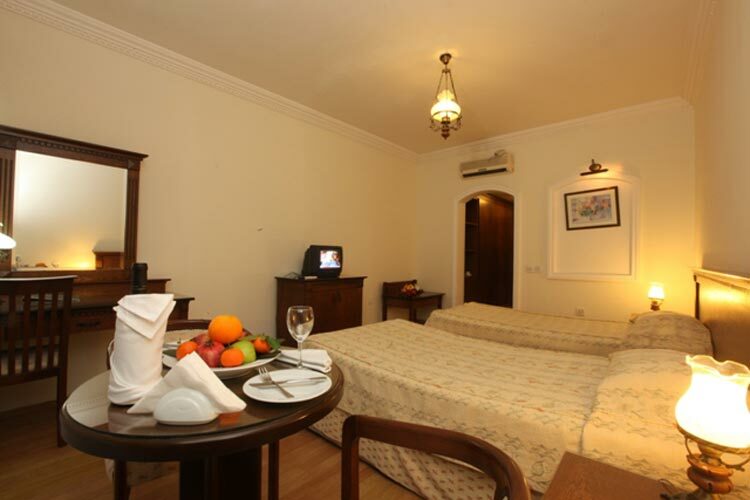 The hotel offers a choice of accommodation in double-bedded, twin-bedded, as well as adjoining doors for larger families. 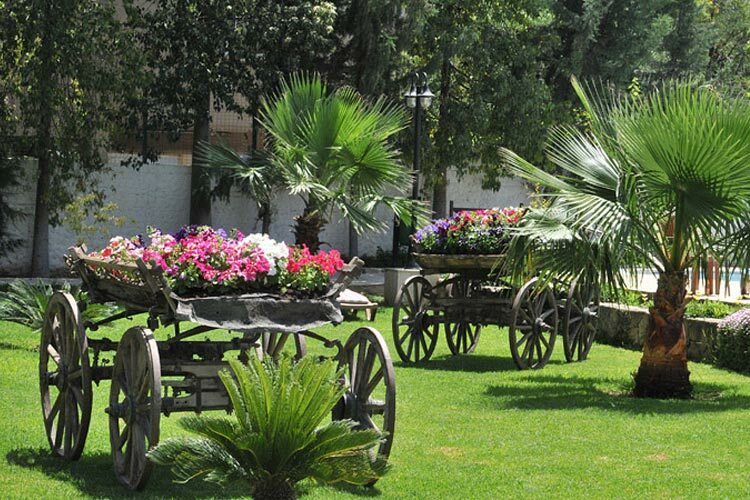 The Hotel Pia Bella and its friendly staff offer a range of services and facilities to make your stay comfortable and memorable. The dining areas include the MAIN RESTAURANT AND BAR where breakfast, lunch and dinner served during winter season, and the TERRACE which is open during summer season. The ANNEX is located in the garden where you can have your lunch during the summer season. 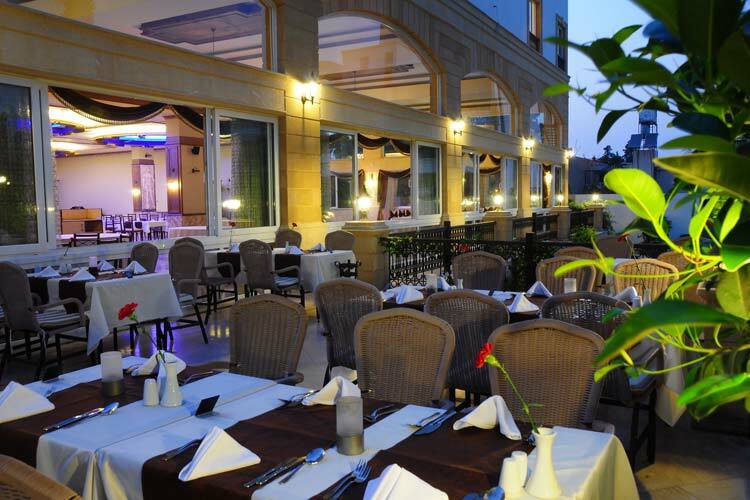 The MEZZANINE is an exceptional A la carte restaurant where you can try sea food, Ottoman and Cypriot cuisines. 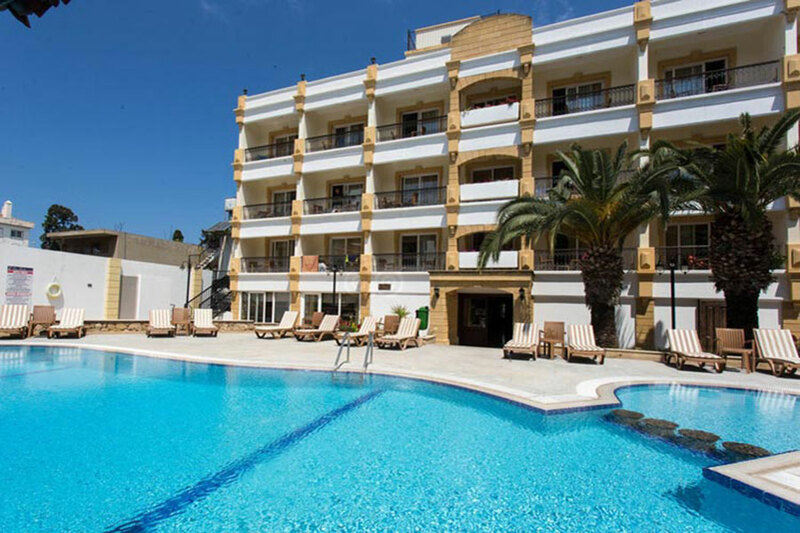 The Northern Cyprus's Pia Bella Hotel is located near Kyrenia city centre and close to shops, restaurants and Kyrenia Harbour. 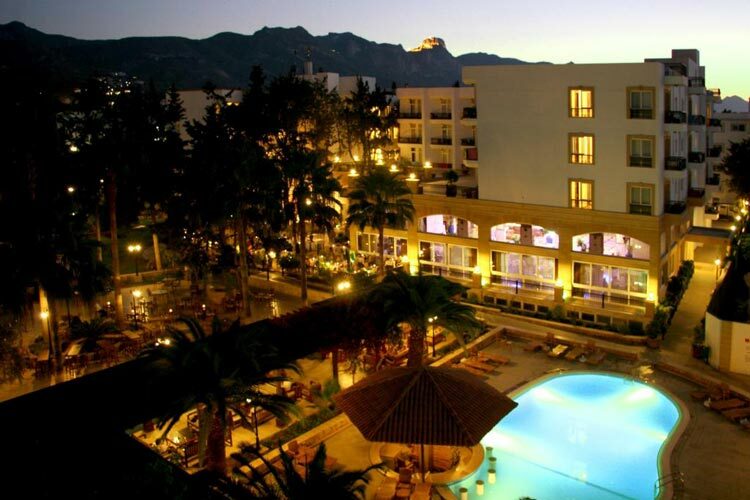 Distance from Kyrenia centre to Pia Bella Hotel is 1 km. 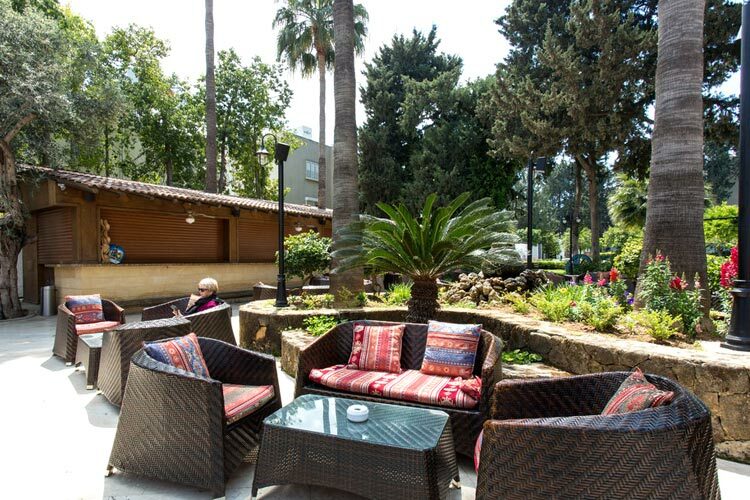 "A wonderful place to stay in Kyrenia"
We booked this hotel through Cyprus Holiday Advisor and thoroughly enjoyed our stay here. 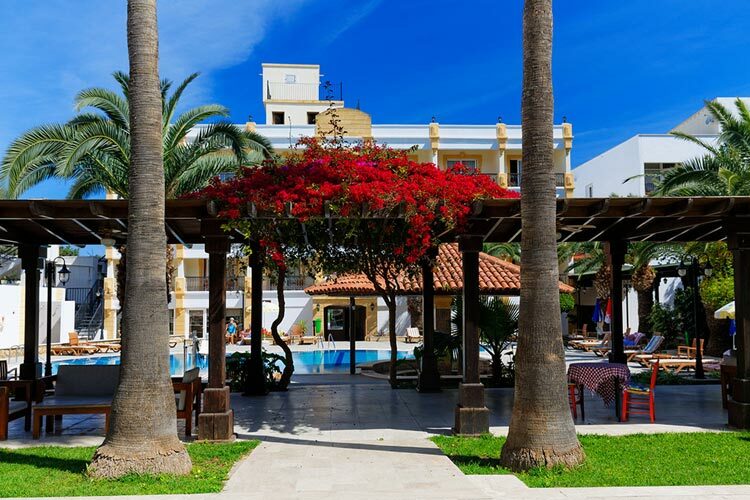 We were greeted with a warm welcome by reception staff, our room was very nice and spacious, the breakfast was excellent with plenty of choice, we didn't eat here at nights but the guests who tried the evening meals were happy with it, and the pool area was very pleasant. 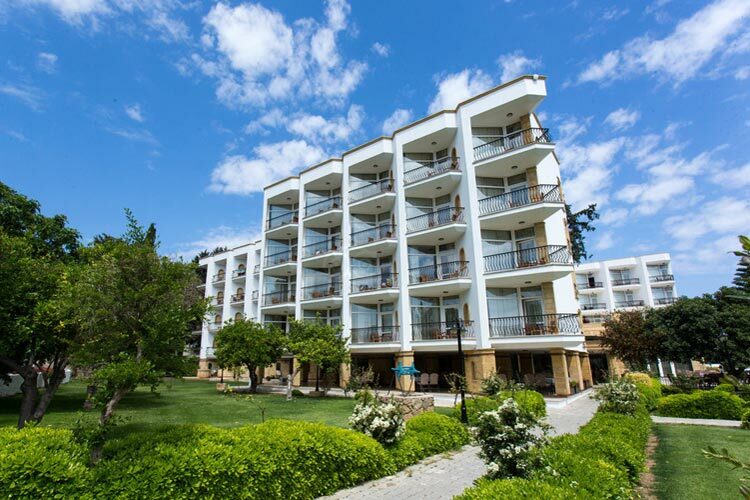 It was a short walk to amenities in the heart of Kyrenia. A car hire is recommended, we booked one before we arrived at the Pia Bella hotel and it was delivered here on the next day. 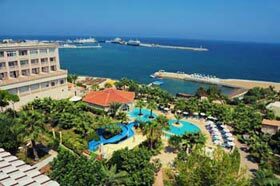 Overall we had a great time, and Northern Cyprus is a wonderful destination. We would stay here again if we visit Cyprus. We have spent a two weeks holiday at this wonderful hotel. This elegant 4 star hotel is perfect for couples and families! 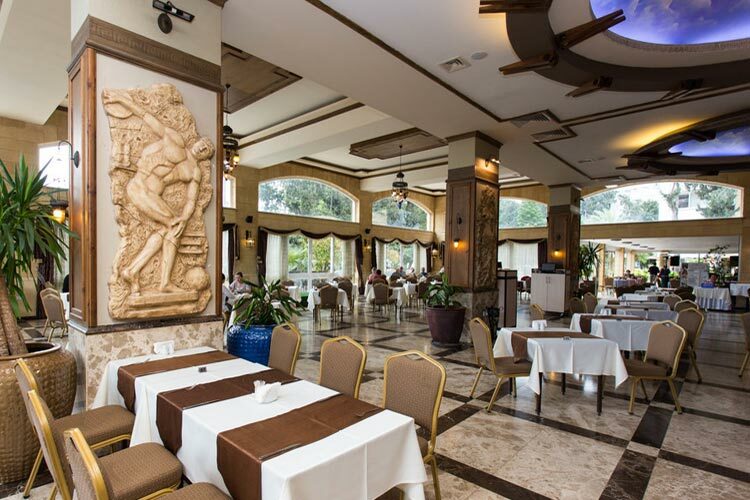 Our room was cleaned daily, the service and staff were very good and the food was excellent. It was just a short stroll from Kyrenia town centre and harbour. 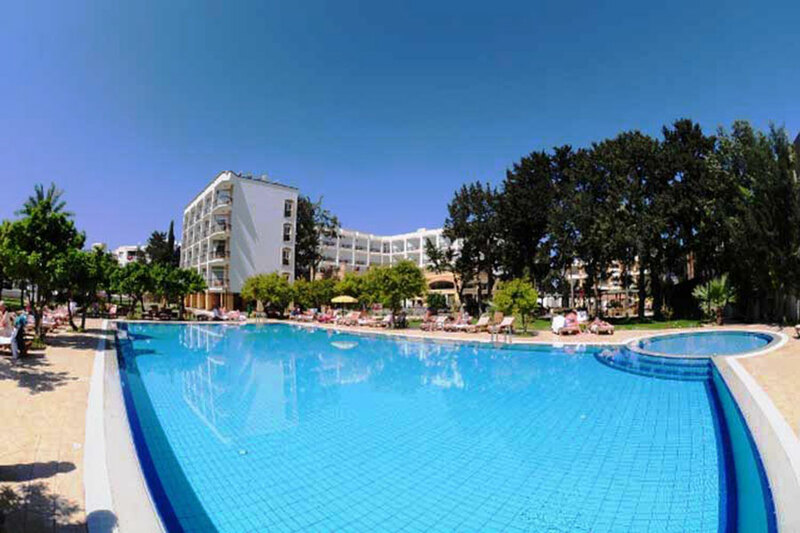 "Excellent hotel, absolutely happy about this choice"
Me and my husband visited Kyrenia last year at the end of September. 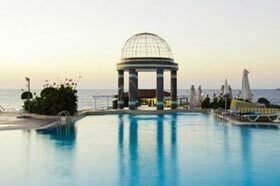 We were recommended this hotel by Cyprus Holiday Advisor and everything was very nice. 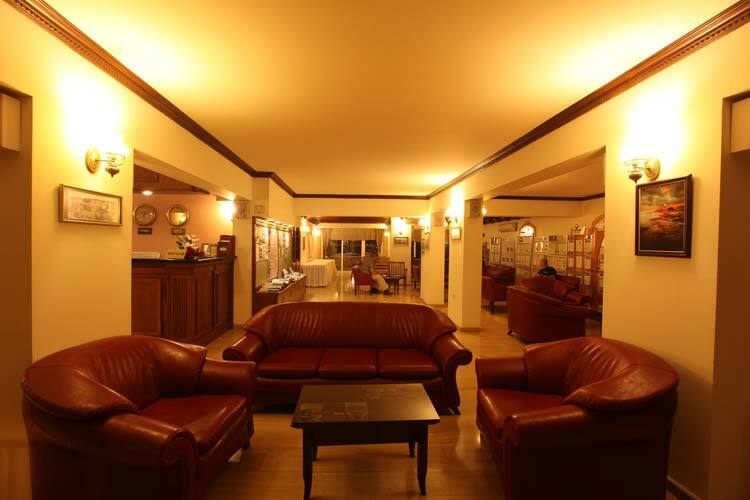 We got a warm welcome from reception staff, and the check-in was smooth and efficient, and you were much informed about the hotel. All staff was smiling and helpful. The hotel was very clean and our room was very spacious with nice views. The food at the hotel was also very satisfying with plenty of options. The location was also good, and you could walk to the famous Kyrenia harbour within 10 minutes, however we rented a car to explore the rest of the island. All in all we truly enjoyed our stay, it was a good value for money and the hotel exceeded our expectations. We can recommend this hotel to everyone.